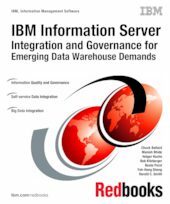 This IBM® Redbooks® publication is intended for business leaders and IT architects who are responsible for building and extending their data warehouse and Business Intelligence infrastructure. It provides an overview of powerful new capabilities of Information Server in the areas of big data, statistical models, data governance and data quality. The book also provides key technical details that IT professionals can use in solution planning, design, and implementation.